As the old saying goes, “love the one you’re with.” Over the past two years, a number of consumers—myself included—have tried to heed that advice with regards to AT&T. As the exclusive purveyor of the iPhone in the U.S., AT&T has a stranglehold on those who covet Apple's handset; if you want to buy an iPhone, you’re going to have to deal with them. But that Faustian bargain may soon come to an end. 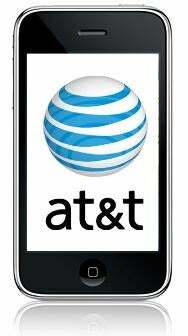 A report in Tuesday’s Wall Street Journal says that AT&T’s exclusive deal with Apple ends next year, and the wireless provider's executives are scrambling to try and extend the contract. As Daring Fireball’s John Gruber points out, this appears to contradict the little information given when the original iPhone launched in June 2007, which suggested that the term of Apple and AT&T’s agreement was five years. The rules of the game have changed since then—for example, in the era of the original iPhone, Apple got a kickback from AT&T on iPhone subscribers' monthly payments; when the iPhone 3G arrived, the company ceded that revenue source in exchange for an AT&T subsidy that brought the price of the iPhone 3G models down to a consumer-friendly $199 and $299. It’s not inconceivable to surmise that those renegotiated terms replaced or amended the original deal, and that the term of exclusivity could have likewise been affected. If the exclusivity arrangement does end next year, what does that mean for consumers? At the moment, the only other network in the U.S. that's compatible with the iPhone (or iPhone 3G) is T-Mobile’s. It’s always possible that Apple’s cooked up a version in its R&D bunkers that works with Verizon or Sprint, but I think the limiting factor is not the technology, but the convenience: having to sell two different “flavors” of iPhone that aren’t interoperable seems to me a very un-Applelike move. Of course, that may just mean the company will have to come out with a model that supports both types of networks. Regardless, putting the iPhone on the open market could very well be a boon to consumers, who would then have the option to choose from a variety of plans that suit their needs, rather than being forced into the strictures of AT&T’s pricing arrangement. Furthermore, it would likely induce more aggressive competition between the carriers, with AT&T no longer able to sit on its laurels as the only wireless network that carries the iPhone.